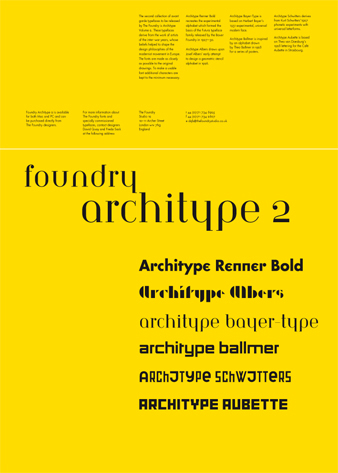 We carrried the theme through with Foundry Architype 2. Foundry Architype 1 was moderately successful we had some good publicity and articles in several magazines including Eye Journal but for all the interest it did not turn into major sales, that happened when we did Foundry Architype 3, Crouwel Collection and Gridnik was picked up by a few designers who asked if there were any more weights. That is when all the hard work paid off.